The fresh flavors of avocado and peach come together with a light basil dressing to make a simple, summer salad. Earlier this week I was lucky enough to guest post this recipe for Avocado Peach Salad on my friend Lisa’s blog, Snack Girl. Lisa and I met a few months ago while attending an exclusive blogger event at General Mills. We immediately connected over great conversation and food because have one thing [ok, two things] in common: we love cooking REAL food for our families and sharing what works and what doesn’t with one another. Strength in numbers—as most parents would agree! Front and center: 100 recipes UNDER 400 calories. YES! Along with sharing on Snack Girl, Lisa is the author of Snack Girl to the Rescue! When I told Lisa I was a cookbook hoarder, she happily shared a copy with me. No seriously, my favorite kind of reading is when I’m curled up with a glass of red wine and a new cookbook! I seriously feel like her book [and all of her blog posts] are written just for me. There’s humor, along with real-life examples of how Lisa makes healthy eating happen for her and her family. Not only is the book practical [she’s feeding two children too folks], it’s encouraging! Lisa’s goal is to inspire you and me to cook healthy— not with fancy ingredients, but with TASTE in mind! She doesn’t eliminate all packaged products from her recipes. Example? Her Boxed Pancake Mix Upgrade recipe. Take a box of your favorite pancake mix and jazz it up with yogurt and fruit! Lisa talks about everyday life temptations that may be hindering healthy eating AND strategies to tackle them! My favorite strategy of all that Lisa implements in almost every recipe? 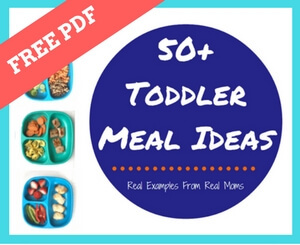 Adding more fruits and veggies to meals your family already loves! Seriously friends, this has been one of my favorite nighttime reads for meal planning since the creation of Pinterest. So how does my recipe play a part in all of this?! I created the Avocado Peach Salad with Lisa in mind. Why? Because the salad itself goes right along with her healthy eating philosophy. Fresh foods. Simple ingredients. And a mix of fruit and veggies. Plus is has two of Joey’s favorite foods [avocado and peaches] and I’m working on getting him to eat that cucumber! To make the dressing, whisk together the olive oil, vinegar, honey, basil, salt and pepper in a small bowl. Set aside. To assemble the salad, place peaches, avocado and cucumber in a small bowl; top with the dressing and gently toss to combine. Serve immediately or store in your refrigerator for up to 3 days. Stir well before serving. Note: If not enjoying immediately, wait to mix-in the avocado just before serving. I have all these things in the fridge. It’ll be on the table for dinner!